More than 78,033,539 beer lovers served! 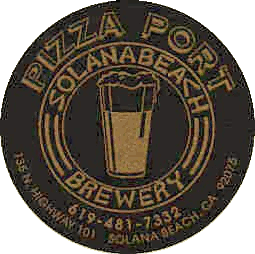 Solana Beach and Tomme Arthur were named Small Brewpub and Brewmaster of the Year at the Great American Beer Festival in 2003 and again in 2004. Deep dark red, thick head. Caramel, dill aroma. Thick, sweet, alcoholic. Deep red, thick head. Caramel, alcohol aroma. Thick, grainy, vegetal.